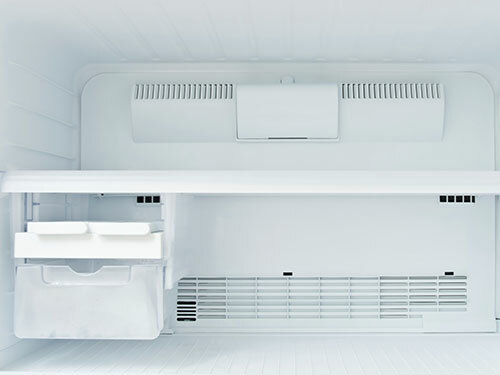 At Appliance Repair Experts, we know that when your freezer breaks down, you have to act fast to have it repaired. Generally stocked with food when the breakdown happens, people need to have their unit fixed or lose hundreds of dollars’ worth of food. We realize that these types of emergencies never happen on a schedule, so our fully stocked appliance parts warehouse is open Monday through Saturday. If you need a part to repair your freezer, we are here from 8:00 a.m. to 5:00 p.m.
Our large parts warehouse is stocked with all of the most common replacement parts for every type of freezer. We carry parts for all residential units as well as commercial freezers. It is our goal is to always have what you need, when you need it. Not Sure What Part You Need For Your Freezer? We can help you find what you need quickly. Top by our warehouse, call, or use the convenient part finder tool on our site. Provide as many details as possible about the unit and what is happening, and we will help you determine the part you need. Our highly trained staff is always available to help diagnose issues and will even provide helpful tips on completing the repair yourself. If it is discovered that the repair is not something you are sure how to accomplish, or you are short on time, our staff can also arrange to have one of our service techs come to your home or business to complete the repair. Our service trucks are fully equipped with all the tools and supplies our techs need to make a quick and lasting repair. Freezers need room to breathe. Make sure that your unit is never flush with the wall. Not allowing air to flow around the unit will cause the motor to overheat and burn out over time. Freezers drain. Always check the drain pain and make sure that the drain tube is not blocked. A blockage could ruin your machine. Self-defrosting freezers use 40 percent more energy than ones you have to manually defrost. However, defrosting your freezer can be a day-long chore and should be taken into consideration. Temperature does matter. Many new models are advertising that they keep food at -20 degrees. While this is impressive, it is also not necessary. In fact, it will use more power and cause a majority of your food to get freezer burn. Most storage containers cannot protect food at this temperature. Your food will remain frozen and not be subjected to freezer burn a 0 degrees. The only real difference between a chest style freezer and a stand-up freezer is the amount of floor space that they take up in your home. Both freezers perform in the same manner and several consumer studies have shown there is no real difference in energy consumption or use. If your freezer suddenly stops working, check the plug and the breaker. Losing power is the leading cause of food loss in a standalone freezer.